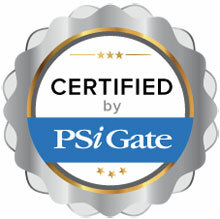 The /n Software shopping cart is fully certified to integrate with PSiGate’s payment processing gateway. This certified solution works in both Canadian and US dollars. Visa, MasterCard and American express credit card processing is available. Please note that some features are only accessible through the PSiGate online web interface and not through /n Software. The /n Software E-Payment Integrator is a comprehensive suite of software components for integrating web, desktop, and mobile applications with PSiGate payment processing. The E-Payment Integrator includes native interfaces for .NET, Java, C++, COM, Delphi, iOS, Android OS, Windows Phone, PHP, Python, and more! With the /n software components, integrating credit card processing with PSiGate is a straightforward task for any developer.